So how does Arizona’s 100 Year Water Plan secure your home investment in Gold Canyon now and into the future? Arizona legislators in the 1980’s planned ahead recognizing that water would be a critical factor for good economy and growth. Their foresight ensured we won’t experience the water shortages that California has suffered recently and it’s ensuring strong real estate values now and into the future. Phoenix has just been projected as the number one US housing market for 2017 according to Phoenix Business Journal. In part it’s the strong Phoenix market and its close proximity to Gold Canyon that helps our real estate market thrive! 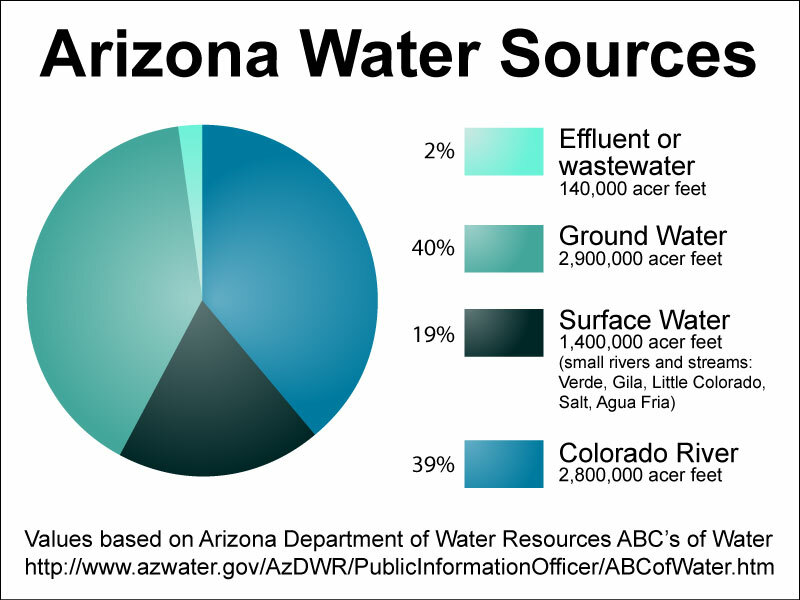 The ARS Title 45 law defines the four categories of Arizona water supply; Colorado River water, surface water other than Colorado River, ground and effluent water. Each water supply is managed differently and has a specific process that manages and ensures long term availability of water for real estate development among other things. Developers are required to apply to the Arizona Department of Water. It is this well managed department that enforces the water management system and makes sure water flows from source to tap now and into the future! Desert living requires greater security of long term access to water. If water should become unavailable few buyers would be interested in making Arizona their home. We are fortunate that Arizona legislators in the 1980’s came together, put politics aside and created water laws that are working! ARS Title 45 helps Arizona maintain healthy water resources for decades to come and ensures a robust real estate market is maintained! Gold Canyon’s natural desert living is a significant drawing card but without water enjoying the beauty of the desert from the comfort of your home wouldn’t be possible. The Arizona legislature’s planning has enabled the dream of Gold Canyon’s desert living into a viable reality and afforded it a strong real estate future! Stop by anytime for a FREE Gold Canyon Market Report, Map, Notary Services or just to chat over coffee! Walk-ins are always welcome at the Robin Rotella Team Office located at 6641 S Kings Ranch Rd, Suite 3, (Next to Wells Fargo) in Gold Canyon. Or visit RobinRotellaTeam.com for Gold Canyon information by subdivision. Call anytime 480-470-3337!